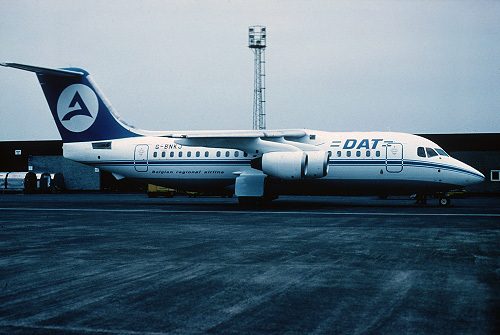 Description: the first Bae146 for DAT (second hand) was delivered at Antwerp on December 1 1989 and became operational (for Sabena) from December 12 onwards. Here depicted awaiting its ferry flight from Prestwick, still with the registration "G-BNKJ" of the lessor. 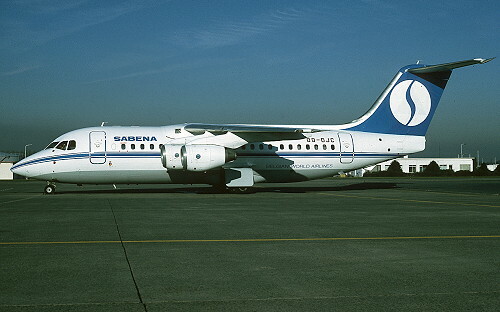 Description: during 1990, the outfit was changed in Sabena's (first) livery. 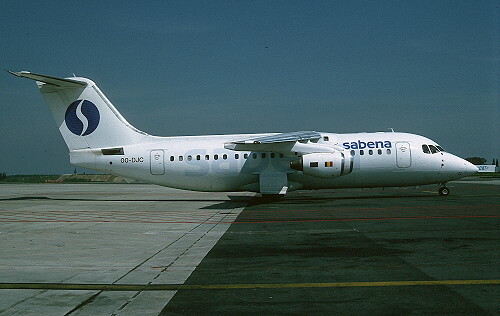 Description: airframes second and final livery of Sabena, it was operational till March 1997. 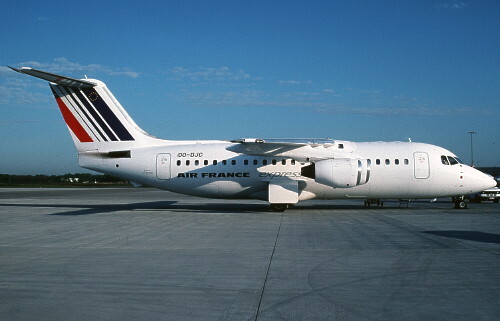 Description: returned to the constructer but leased by Eurowings and subleased to Air France in their markings, it remained for two months in the Belgian register before being cancelled to Germany on May 30 1997.